Just last week, Advanced Micro Devices (AMD) shares surged by 20%. The company, which manufactures computing processors, had announced a solid sales growth forecast for the coming twelve months. These future predictions still look to be in place, but on Tuesday AMD shares fell by 2.5%, following a major shareholder announcement. The announcement of share sales by Abu Dhabi’s Mubadala Investment led to the dip in shares. According to analysts, this could be good news for investors. The dip in AMD shares came following a tweet from Mubadala Investment. The company announced that it had sold 34.9 million AMD shares. At the same time, it announced its intention to convert 75 million equity warrants into shares. It’s not the first time that Mubadala has acted in this way. In July 2018, it sold 22 million AMD shares at an average price of $19.325 each. In fact, the investment company has an ongoing strategy to sell older positions. This latest act is more a reflection of this strategy than it is a comment of the company’s relationship with AMD. 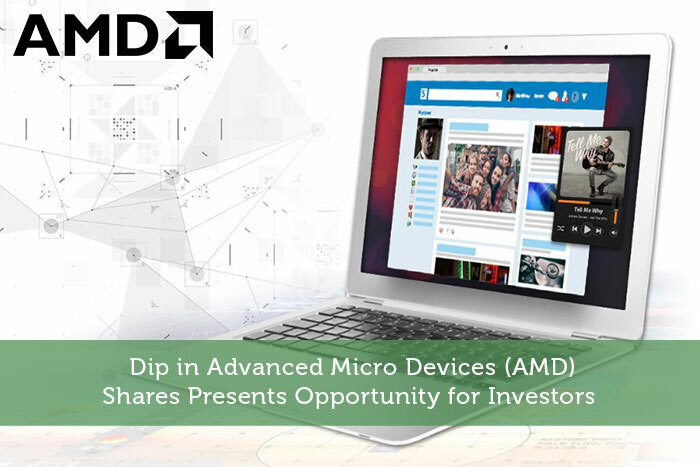 According to some analysts, the drop in the value of AMD shares is an opportunity that investors should make use of. In this instance, the sale of shares by a major shareholder is no reflection on the company itself. Mubadala has stated that it has ongoing faith in AMD and its products. It’s also worth remembering that the investment company is still a major AMD shareholder. The situation with AMD growth is the same as it was last week. The figures are still good. This means that investors who buy AMD shares at the current low price are likely to experience growth of their investment over the coming months. Why is AMD growth continuing? Much of AMD’s recent growth has been due to its Ryzen processors. These processors have been instrumental in the good performance of the company’s Computing & Graphics segment which accounts for well over half of its revenue. AMDs Radeon GPUs have also performed well for the company. In 2019, AMD is set to roll out its 7nm chips. If this process happens as forecast, it will lead to improved competitive equality with Intel. This, in turn, should lead to AMD increasing its share of the market. There is currently no reason to doubt AMD growth, although it may be more moderate than last year. 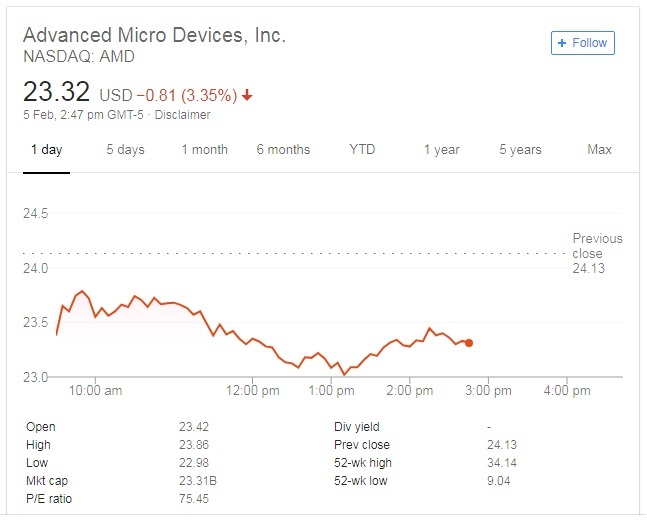 Even a moderate level of growth makes low priced AMD shares a good investment. Investors need to seize the moment, before the shares fully recover. Often, a large sale of shares by a major shareholder is due to decreasing belief in the performance of a company. This is not the situation with Abu Dhabi’s Mubadala Investment and AMD shares. The investment company was simply complying with its own strategies when selling and AMD shares represent a good buying opportunity, according to analysts.